Ken Burns' Civil War Tours. 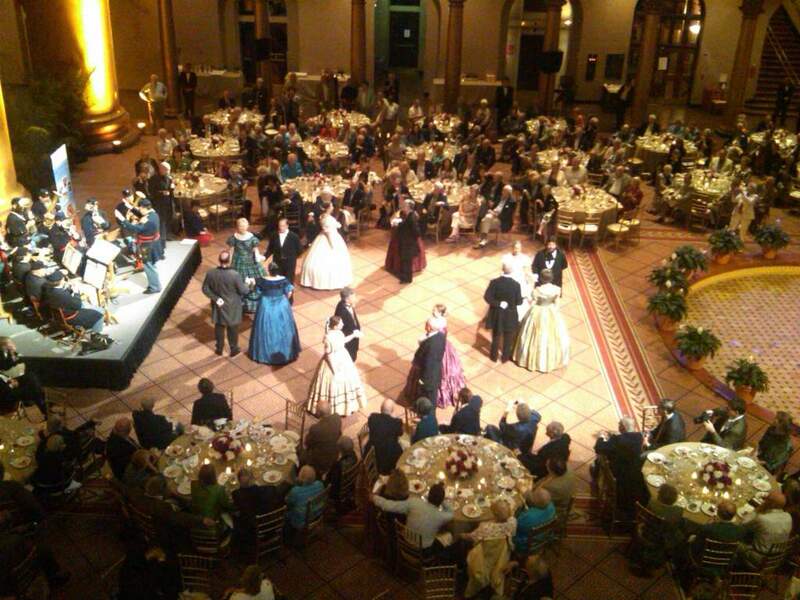 The performance was held in the National Building Museum in Washington, D.C. Music was played by the Federal City Brass Band. 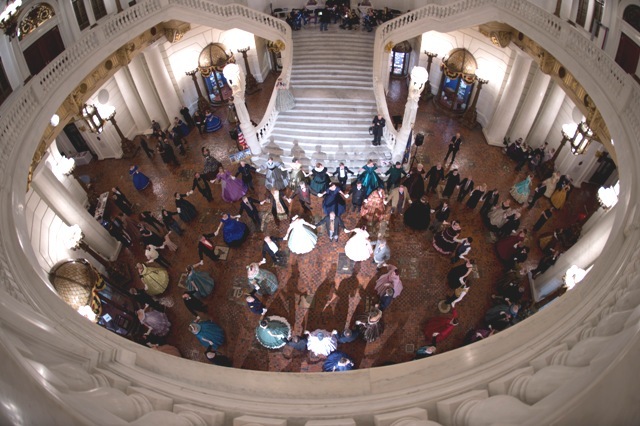 The Victorian Dance Ensemble has conducted numerous Balls, Demonstrations, and Dance Classes for a variety of sponsors and events. 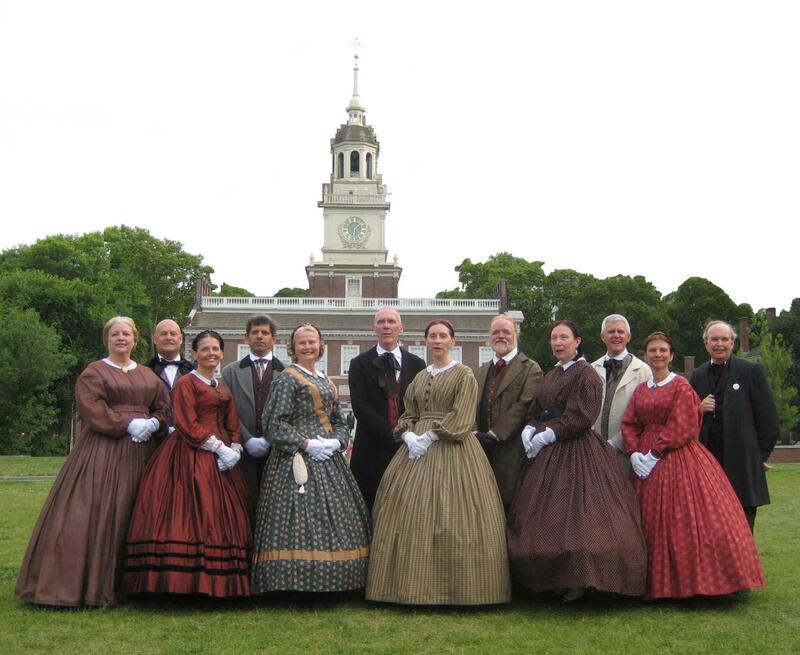 Additionally, the Ensemble has also presented fashion shows, provided Civil War and Victorian artifact displays, and supplied knowledgeable “meeters and greeters” to mingle with guests at social functions. Many of these events have become annual affairs for us and others are one-time presentations at special events. Our multiple appearances, ranging from two to fifteen years, are marked with an asterisk. First Battle of Manassas Blue & Gray Ball, Manassas, Va.
Alexandria Civil War 150th Commemoration Dance Demonstrations, Alexandria, Va.
Jackson's Train Raid Ball, Middletown, Va.
Lincoln at the Crossroads Ball, Alexandria, Va.
Second Battle of Manassas Reenactor Ball at Cedar Creek Battlefield, Middletown, Va.
Second Battle of Manassas Blue & Gray Ball, Manassas, Va.
Battle of Antietam Pry House Soldiers' Fair Dance Demonstrations, Sharpsburg, Md. 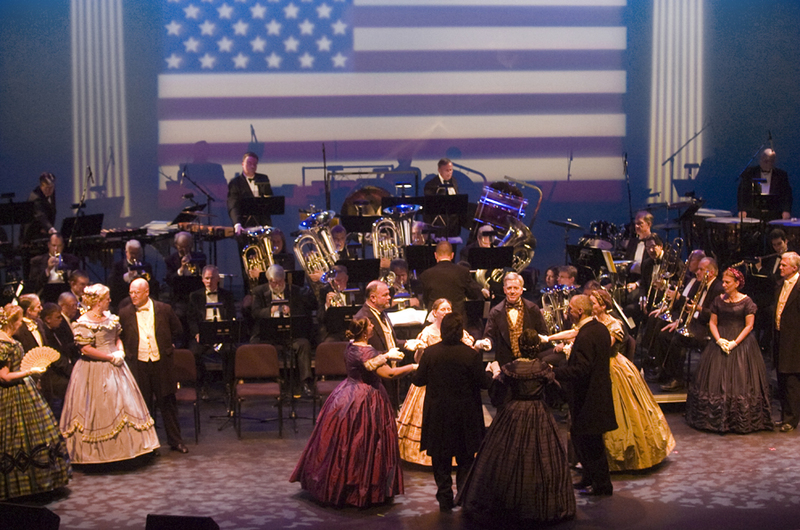 Second Battle of Winchester Remembrance Ball, Winchester, Va.
Gettysburg Campaign - Wrightsville-Columbia Bridge Burning Commemoration Ball, Columbia, Pa.
Gettysburg Campaign - Cumberland County Historical Society 1863 Civil War Gala, Carlisle, Pa.
Gettysburg National Military Park Sesquicentennial Music Muster, Gettysburg, Pa.
City of Frederick 150th Commemoration Dance Demonstrations, Frederick, Md. 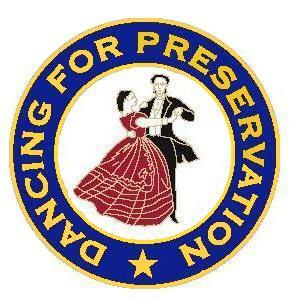 Third Battle of Winchester Remembrance Ball, Winchester, Va.
Cedar Creek VIP Opening Reception & Dance, Middletown, Va.
Cedar Creek Reenactment Ball, Middletown, Va.
St. Albans Raid Civil War Ball, St. Albans, Vt.
Ford's Theatre Lincoln Commemoration, Washington, D.C.
U.S. 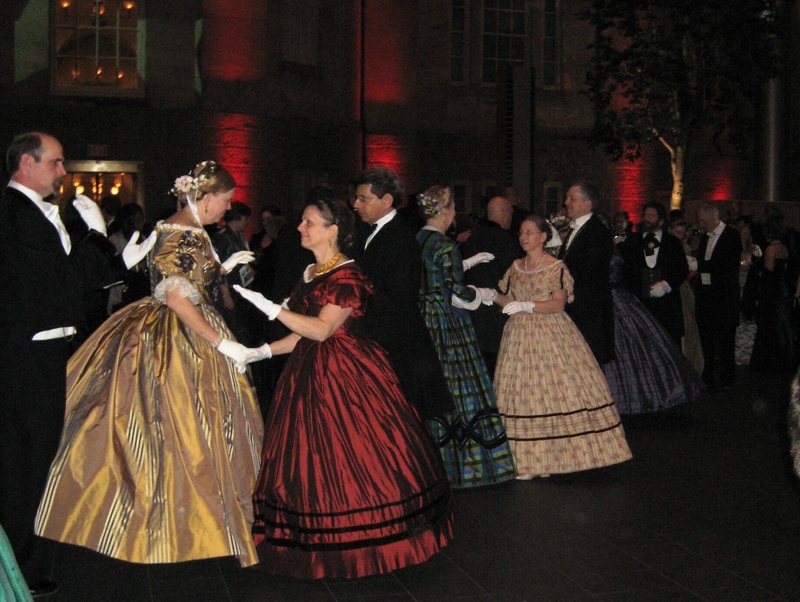 Colored Troops Grand Review Dance Demonsration, Harrisburg, Pa.
2009 Presidential Inaugural Ball at Smithsonian Institution, Washington, D.C.
Abraham Lincoln: Music and Dance of His Time, Gettysburg, Pa., and Frederick, Md. Air Force Retirees Convention, Harrisburg, Pa.
American Business Women's Association Banquet, Harrisburg, Pa.
Baltimore & Ohio Railroad Museum, Baltimore, Md. Bethany U.M. Church, Marysville, Pa.
Blue Ridge Nursing Home, Harrisburg, Pa. Boy Scout Program, Wrightsville, Pa.
Brunswick Railroad Museum, Brunswick, Md. Camp Hill Woman's Club, Camp Hill, Pa.
Chester Historical Preservation Committee Dance Demo on Tall Ship Gazela, Philadelphia, Pa.
City of Harrisburg “Brown Bag Lunch” Dance Demonstration, Harrisburg, Pa.
Civil War Trust Annual Conferences, Gettysburg, Pa. and Chantilly, Va.
Lexington, Ky., Blacksburg, Va., Chattanooga, Tn. Clarksville High School, Clarksville, Md. College Club of York County, York, Pa.
Conestoga Historical Society, Conestoga, Pa.
Cornwall Iron Furnace PHMC Historic Site, Lebanon, Pa.
Country Meadows Retirement Home, Hershey, Pa.
Cross Keys Retirement Community Dance Demonstration, Cross Keys, Pa.
Dauphin County Historical Society, Harrisburg, Pa.
Daughters of the American Revolution, Royersford, Pa.
Dentists for Comprehensive Care Conference, Gettysburg, Pa.
Dill's Tavern Historic Site, Dillsburg, Pa.
Eastern Star Convention Dance Demonstration, York, Pa.
Everhart Museum Civil War Day, Scranton, Pa.
First Defenders Day, York, Pa.
Gen. Sturgis Commemoration, Shippensburg, Pa.
Gettysburg Foundation Museum Grand Opening, Gettysburg, Pa. Girl Scout Programs, Camp Hill, Elizabethtown, Hanover, Hershey, Pa.
Harrisburg Holiday House Tours, Harrisburg, Pa.
Haverford Township Free Library, Havertown, Pa. Historic Gettysburg-Adams County, Gettysburg, Pa. Historic Yellow Springs, Chester Springs, Pa.
Homewood Retirement Facility, Hanover, Pa.
Infinity Charter School, Harrisburg, Pa.
International Association of Administrative Professionals Convention, Gettysburg, Pa.
International Gilbert & Sullivan Festival, Gettysburg, Pa.
Jewish Retirement Home, Harrisburg, Pa.
Lancaster County Historical Society, Lancaster, Pa.
Lehigh Valley Heritage Museum, Allentown, Pa.
Lititz Public Library, Lititz, Pa.
Londonderry Lioness Conference, Middletown, Pa.
Lower Dauphin Middle School Civil War Day, Hummelstown, Pa.
Maytown Historical Society, Maytown, Pa.
Merrill Lynch Dinner, Harrisburg, Pa.
Middletown Historical Society Fair, Middletown, Pa.
Monmouth County Library, Manalapan, N.J.
Museum of the Cape Fear, Fayetteville, N.C.
National Assn. of State Budget Officers Convention, Eisenhower Farm, Gettysburg, Pa.
National Conference of State Legislators, Harrisburg, Pa.
New Castle Home and Garden Tours, New Castle, De. New Jersey National Guard Enlisted Assn., Gettysburg, Pa. Ocean City Theatre "A Christmas Carol" Performance, Ocean City, N.J.
Order of the Eastern Star, York, Pa.
Pamplin Historical Park, Petersburg, Va.
Paxtang Historical Society, Harrisburg, Pa.
Peace Church, PHMC Historic Site, Mechanicsburg, Pa.
Pennsylvania Association of County Controller’s Convention, Harrisburg, Pa.
Pennsylvania Farm Show, Harrisburg, Pa.
Pennsylvania Housing Finance Agency Conference, Gettysburg, Pa.
Pennsylvania Tourism Coalition, Lancaster, Pa.
Philadelphia Lincoln 200 Celebration on Independence Mall, Philadelphia, Pa.
President Street Station, Baltimore, Md. Shrewsbury Flower Show, Shrewsbury, Pa.
Smithsonian Institution - National Museum of American History, Washington, D.C.
Smithsonian Institution - Ed Bearss’ Civil War Tour, Frederick, Md. Smithsonian Institution - "Journey Stories" Traveling Exhibit, Brunswick, Md. 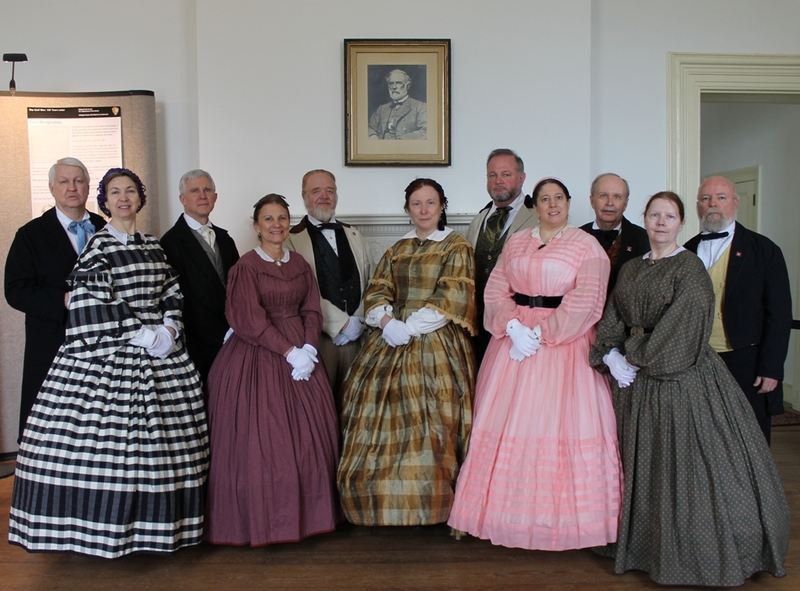 Society for Women and the Civil War, Emmitsburg, Md. Susquehanna Civil War Round Table, Sunbury, Pa.
Susquehanna Township High School, Harrisburg, Pa.
Susquehannock School, Glen Rock, Pa.
TNT Movie The Day Lincoln Was Shot, Richmond, Va.
Walters Art Museum Family Day Dance Demonstrations, Baltimore, Md. White Rose Civil War Round Table, York, Pa.
York Catholic High School Civil War Weekend, York, Pa.
York First Night Celebration, York, Pa.
York Heritage Trust, York, Pa.
York Hospital Fete, York, Pa.
150th Anniversary of Pleasureville Church, York, Pa.
150th Anniversary of St. Elizabeth’s Hospital, Washington, D.C.
200th Anniversary of Conestoga, Conestoga, Pa.
250th Anniversary of York County Celebration, York, Pa.
375th Anniversary of the National Guard, Washington, D.C.
Boal Mansion Museum, Boalsburg, Pa.
Bucktail Reunion Ball, New Bloomfield, Pa.
Chester Historical Preservation Committee Civil War Ball, Bootthwyn, Pa.
Christian School of York Homecoming Ball, York, Pa.
Christian Singles Adult Conference Dance, Carlisle, Pa.
Dickinson College Civil War Dance, Carlisle, Pa.
Duncannon 150th Anniversary Ball, Duncannon, Pa.
Emmitsburg Civilian Bazaar Civil War Ball, Emmitsburg, Md. Falling Stars Civil War Ball, Gettysburg, Pa.
Gettysburg High School Victorian Valentine Dance, Gettysburg, Pa.
Harrisburg Area Community College Lincoln Exhibit Ball, Harrisburg, Pa.
Hay Creek Valley Historical Association, Geigertown, Pa. Historic Sugartown Victorian Ball, Malvern, Pa.
Lewisburg Civil War Monument Rededication Ball, Lewisburg, Pa.
Lincoln at the Cross Roads Ball, Alexandria, Va.
Middletown Library Civil War Ball, Middletown, Pa.
Muncy Civil War Ball, Muncy, Pa.
Museum of the Cape Fear Civil War Ball, Fayetteville, N.C.
St. Albans Raid 150th Civil War Ball, St. Albams, Vt.
St. Patrick’s School Civil War Ball, Harrisburg, Pa.
Shippensburg University Fashion Archives Civil War Ball, Shippensburg, Pa.
Slifer House Benefit Ball, Lewisburg, Pa. 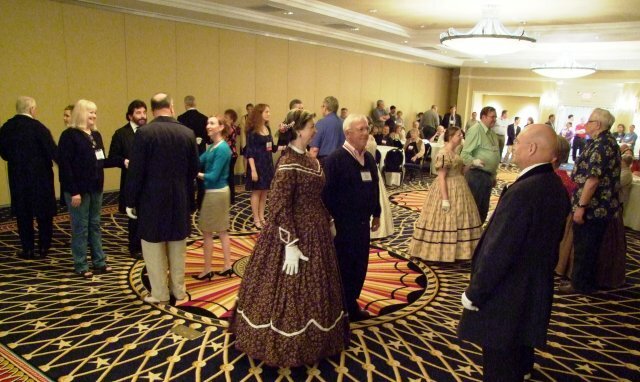 Steam Into History Civil War Ball, Railroad, Pa.
Waverly Mansion Ball, Marriottsville, Md. 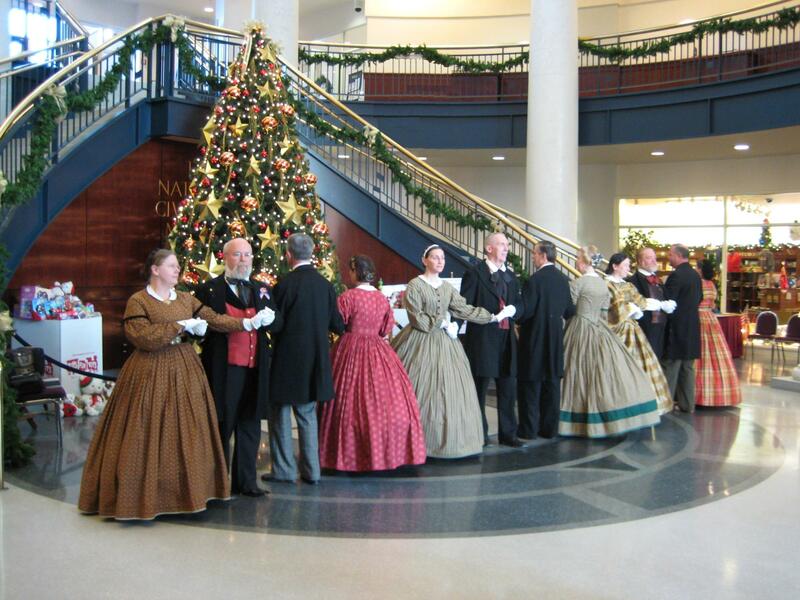 Williamsport Victorian Ball, Williamsport, Pa.
Willow Valley Civil War Ball, Lancaster. Pa.
York Christian School Civil War Dance, York, Pa.
100th Anniversary of Perry County Civil War Monument Ball, New Bloomfield, Pa.
135th Grand Review Ball, Harrisburg, Pa.
200th Anniversary of City of Williamsport Ball, Williamsport, Pa.
250th Anniversary of City of Frederick Celebration Ball, Frederick, Md.